A wonderful necklace from my Healing Jewelry Collection! 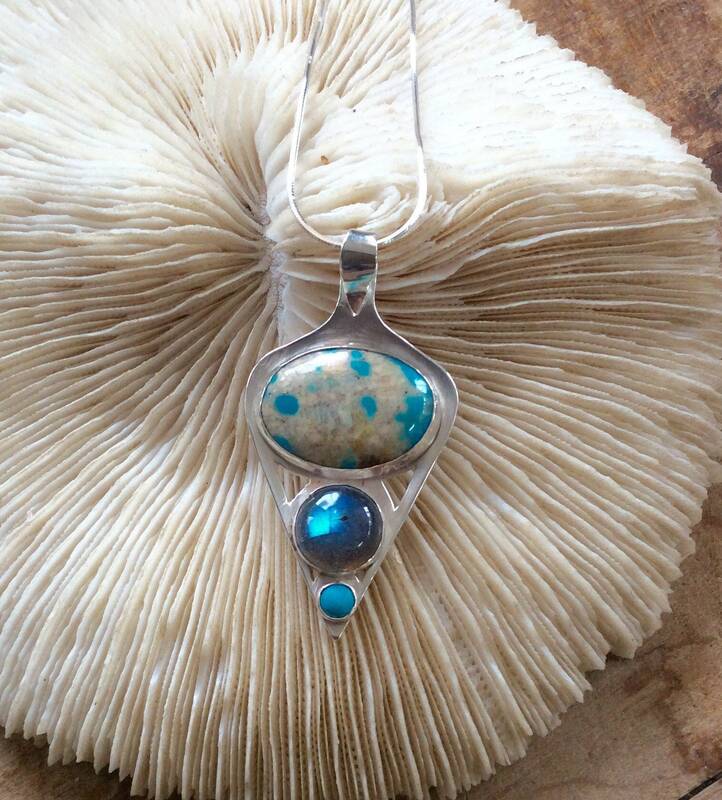 Handcrafted in sterling silver, this striking pendant features gorgeous turquoise and labradorite. Suspended on a silver chain. 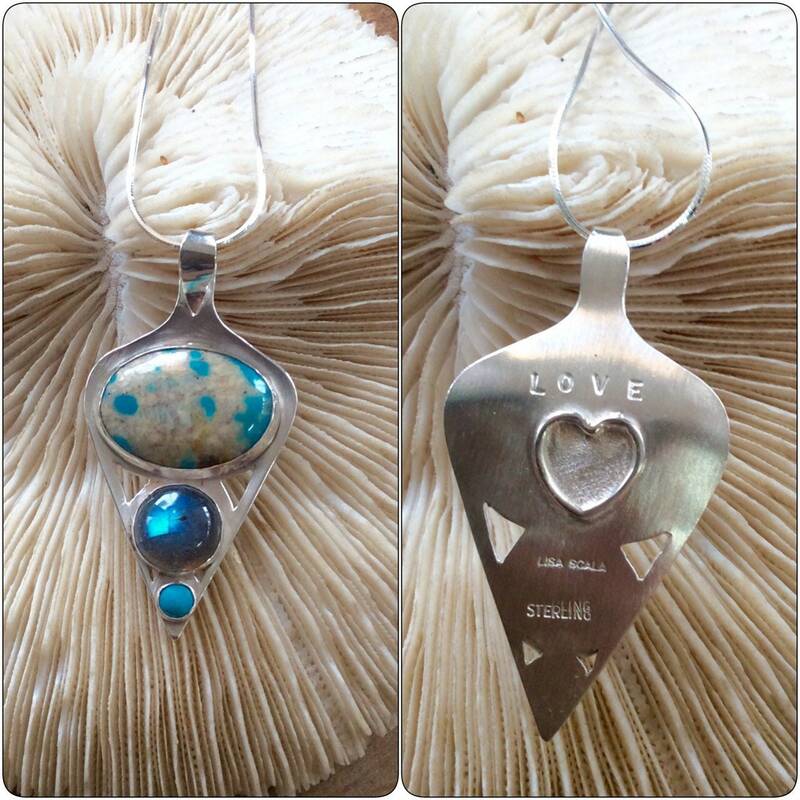 My Healing Jewelry Collection is handmade with balance and self-love infused into every design. Each unique gemstone, selected to enhance healing, is Reiki charged with positive energy. These pieces are intended as a reminder to care for yourself so you can enjoy the world and those around you. Labradorite: Protects against negative energy, with a calming influence.